Here's a record of U.P. unique show - his tough blues guitar and all his tracks and showmanship - to show American blues fans what they missed. And this is a high quality DVD - the team involved are all TV and film professionals and those are the standards they brought to the project. As well as the show, there is a fascinating interview with U.P. and a rare chance to see a great musician at the soundcheck - with some terrific music played as he finalizes things. This recording was filmed March 17, 1998. 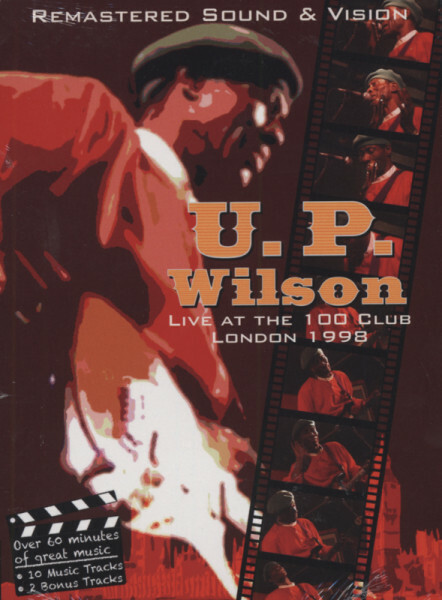 Featuring concert footage from a concert held live at the 100 Club in London in 1998 features a performance from the "Texas Tornado" U.P. Wilson. Among the songs included are Hold on Baby, Half Step, Short Haired Woman, and The Sun is Shining. Customer evaluation for "Seing Is Believing - Live At The 100 Club London 1998"